There is a world of knowledge when it comes to wire working techniques. 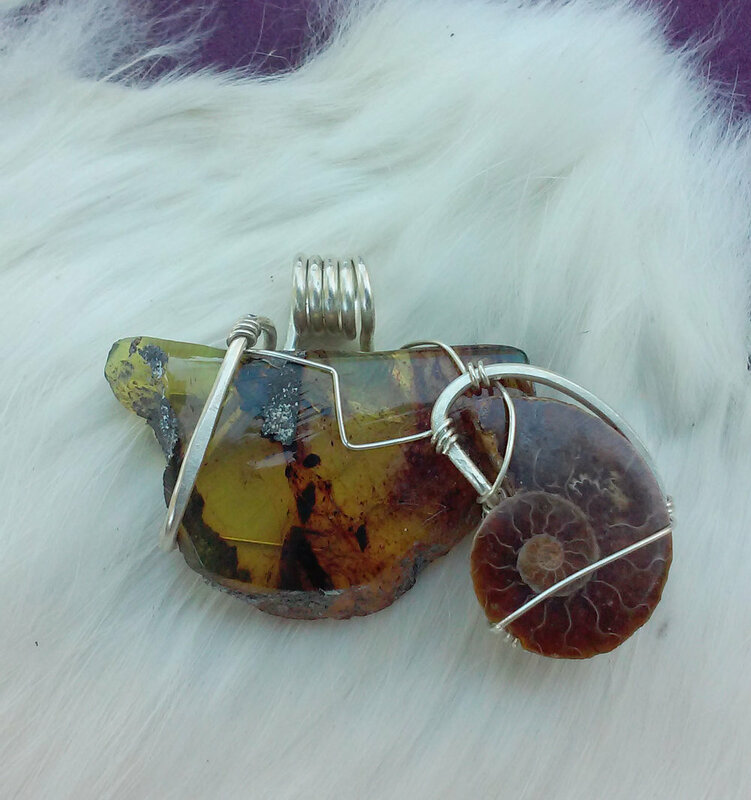 In this intermediate class learn more complex ways of using wire to form stone settings, hinges, and findings. Bonus stone cutting demo with techniques on how to use the grooved stone in order to make stone wire working many times easier while offering many more design options. This Intermediate Wire Working Class is available as a private lesson in 3 Sessions. Each class is 2.5 hours long and you choose your dates/times. Tool rental and materials included. Silver available on hand for purchase.